Garage doors are very nice to have, but are completely useless without tracks and rollers. These devices don’t actually give power to the door itself, but they do allow the door to open and close on a set track so that it closes and opens with the same accuracy each and every time. The problem is that tracks can become damaged and bent, making the garage door open and close incorrectly, or not at all. It can definitely be frustrating, but help from Calgary Garage Door Repair is only a phone call away! We can provide services for your garage door tracks in Calgary, such as repair and replacement. If you have bent garage door tracks, we can often hammer them back to their original shape quickly, but with great precision. In other cases, more serious garage door tracks repair may be needed. In only the most extreme cases of damage will you ever need garage door tracks replacement, for example, when repairs are more costly than replacement. 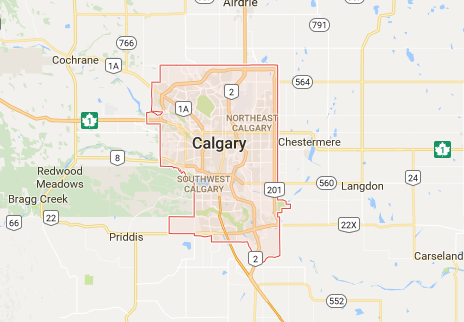 At Garage Door Repair Calgary we look out for your best interests. 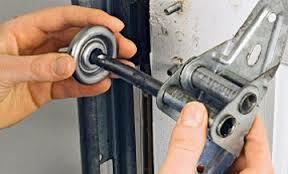 Garage door rollers are of equal importance, as they allow the garage door to roll along the track. Damaged rollers can cause your garage door to malfunction, and in some cases can even cause your garage door to fall off the track completely. The latter scenario can potentially be dangerous if you are near the garage door when it falls. In some rare cases, we can repair the rollers, but most of the time they are so badly damaged that garage door roller replacement is the only solution. When you choose Garage Door Repair Calgary, we’ll do our best to provide the professional services you need at a price that you can afford. Our garage door tracks and rollers experience is more than enough to offer expert services, so you’re satisfaction is as good as guaranteed.